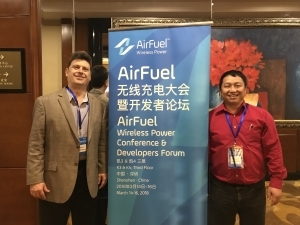 Last week, GaN Systems exhibited and spoke at the first annual AirFuel Wireless Power Conference & Developers Forum held in Shenzhen, China. 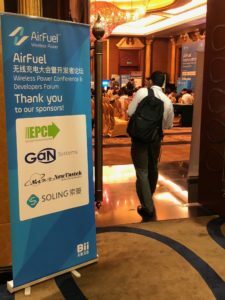 The conference highlighted the various aspects of AirFuel Resonant technology created to help companies to design, develop and market product with Resonant technology. 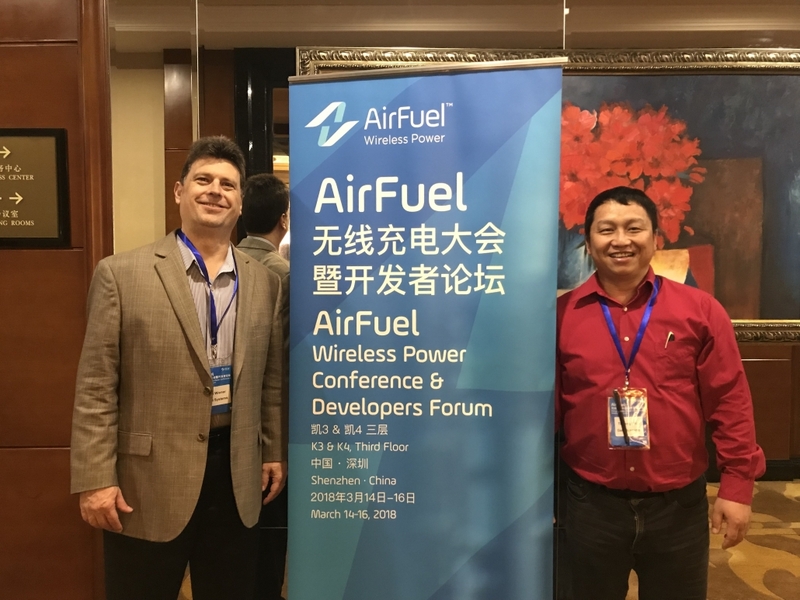 AirFuel Alliance plays a central role in defining the future of wireless power, power management and efficient power usage. 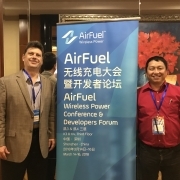 The goal is to create an ecosystem of inter-operable products and the global public infrastructure to power them – putting consumers and businesses on the path to a world without wires. 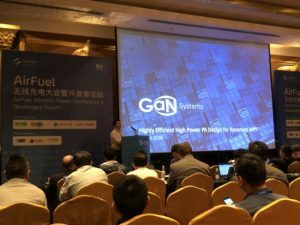 Paul Wiener, Gan Systems’ Senior Vice President of Marketing spoke at the conference on the topic of: Highly Efficient High Power Resonant Designs.